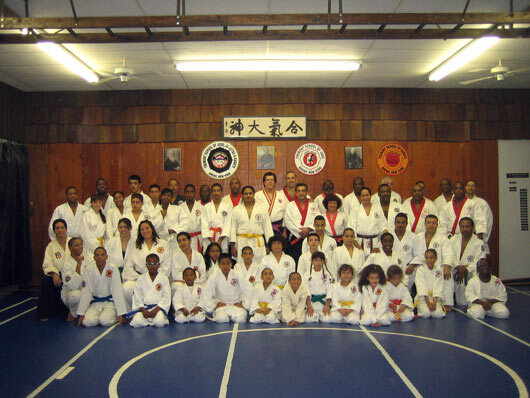 November 11, 2006 group picture at the 77th Black Belt Ceremony. 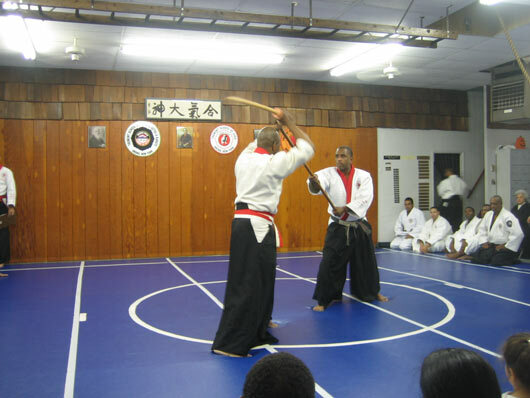 Weapons instructor Shihan Campbell and Shihan Griffith demonstrating a Bokken Kata. Shihan Medina with Shihan Innis and Sensei Tommie at the Kaizen Dojo in Port St. Lucie, FL. 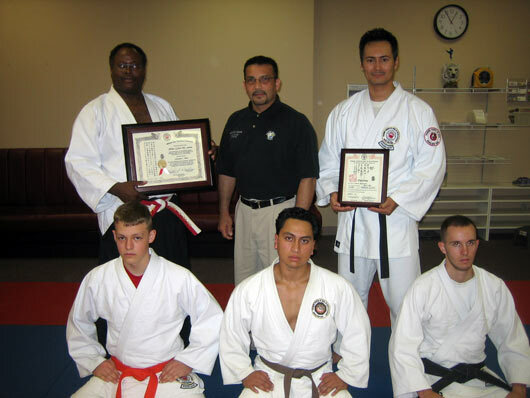 Kaizen dojo offers classes in Shotokan Karate, Judo, and Miyama Ryu Ju Jutsu and is run under the supervision of Sensei Tommie and Shihan Innis. 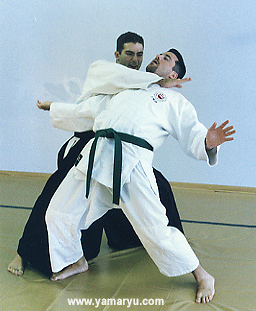 Sensei Anthony Medina Jr. demonstrating a choke entrance. 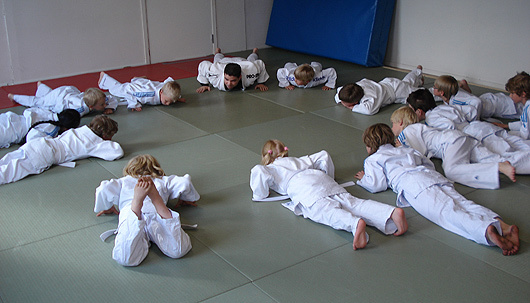 Sensei Kevin Medina showing his childrens' class how to do push-ups at the Sweden Miyama Ryu school. 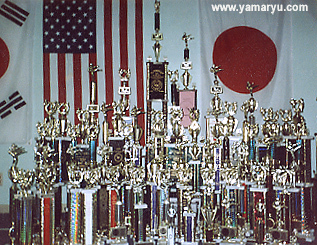 Tournament trophies awarded to our students.